Zinger floated to victory in the Legends Division. Malibu is known for its ritzy private beaches and famous spots like Malibu Point and Zuma. But on the other side of town, across the street from the biker haven Neptune’s Net, sits County Line. County Line is a little rougher around the edges than the more famous spots in Malibu. But despite its edgier feel and vibe, the spot is full of everything from local rippers, stand up paddlers, pros, beginners, body boarders, beach bums and every kind of human on the planet. Anyone that enjoys the ocean and lives in LA eventually ends up at County Line at some point. Last week, a bunch of locals banded together to throw a contest appropriately named the Not So Classic. Every contest is called the “insert famous beach name here” Classic, and we figured we are the opposite of that, so the name stuck. What was originally meant to be a birthday celebration for two groms and two of the better known older guys in the water morphed into a full blown contest. It started out as a flyer on Instagram because some of the local crew had the same birthday. The contest was just meant to be a joke and a fun way to get everyone together. As it turned out, the local crew–along with some of the companies that support the local kids–all wanted to be involved, so we stepped up our game and tried to put on a real contest. 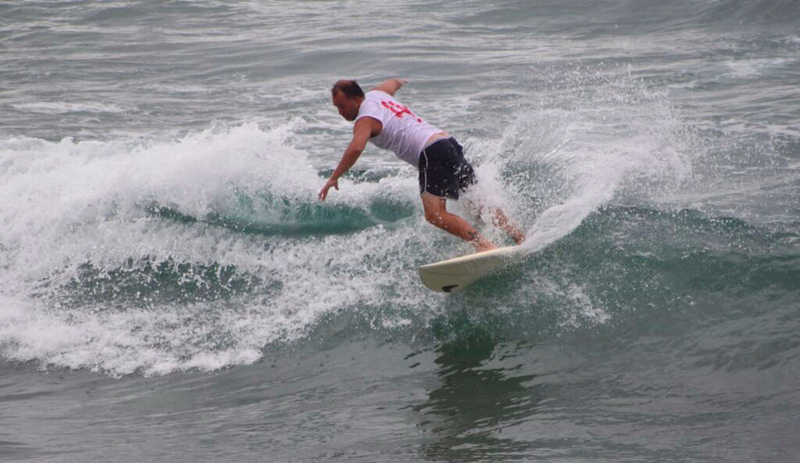 The morning of the event, the waves were 2-3 foot, the skies were overcast, and before the contest even started, a hammerhead was cruising the lineup. The groms went out first, and after a few heats you could tell that SJ Murphy was the favorite to win. 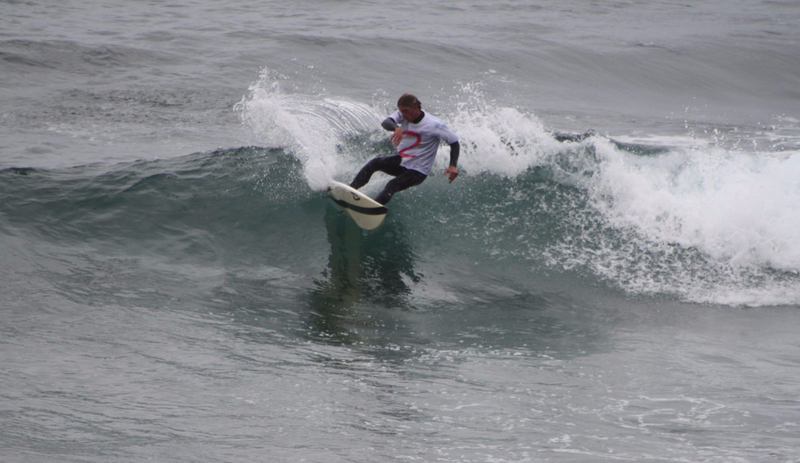 In the first half of the final, Zane Vanderport and super grom Talan Vodraska were in the lead until last 15 minutes. That is when the tide shifted (literally). SJ Murphy and Sean Saldamando battled it out for the next 15 minutes and the whole heat changed. 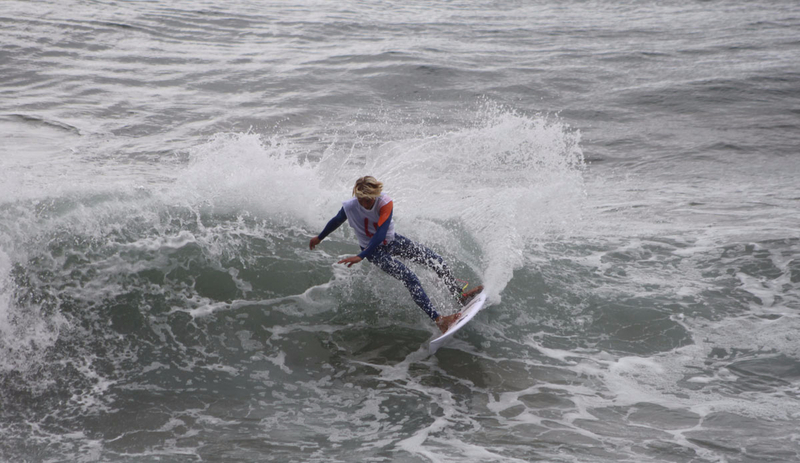 Sean Saldamando scored back-to-back rights off the point and landed a few frontside airs to secure first place, and the honor of Grom Of the Point. In the Rippers division, Greg “Gouch” Iguchi and SJ Murphy dominated the final and it fired up all the locals. The older crew was rooting on the Gouch and the groms were all pulling for SJ to take down the old guys, but in the end the Gouch took down SJ in a very close final and made the older generation proud. In the legends division, Kevin Zinger took first place and got the nod over Yari Vodraska, Eric Macloud and Dale Rhodes.